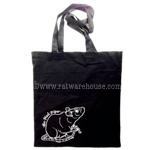 Not only rats need to shop! Humans do too! Here's a selection of things you can buy for yourself. A sweet necklace in cut pink acrylic. Two Ratties in love, one heart between them. Measures 8cm (roughly 3 inches wide), and approximately 45cm (18 in) including the silver tone plated, nickel/lead-free curb chain. 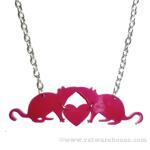 This is a protected design created exclusively for The Ratwarehouse by Cherryloco Jewellery. Very sweet! Rat shapes in cut acrylic. 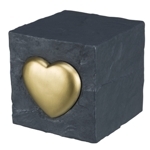 Each shape measures approximately 4.5cm and a drop of approximately 4cm. 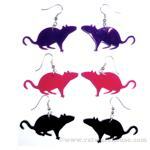 Available in purple, black or pink. So pretty! 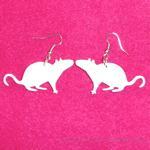 Rat shapes in cut white acrylic. Each shape measures approximately 4.5cm and a drop of approximately 4cm. 50p off! 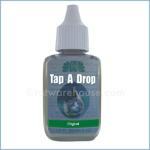 Was £6.00 now only £5.50! 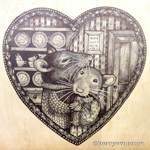 Exclusive to the Ratwarehouse, a wonderful print by artist Kerry Evans. A lovely ratty couple. 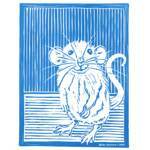 A gorgeous hand-printed linocut mousie card by our old friend and excellent artist Mike Ashton. As these are handprinted, each print is slightly different. 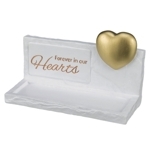 Blank inside so you can write your own message. A5 size with cream envelope. Also available in different colours upon request. Photo for illustrative purpose only - bag is not shiny! Photo for illustrative purpose only. A cute costume jewellery ring shaped like a little ratty wrapped around your finger, hanging on with his hands and feet. Available in antique silver finish. 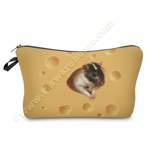 The design is simple and a bit rough, but at this price, who can not have one! It's adjustable, but once the ring fits, we recommend that it isn't opened and closed too often as the stress on the metal could damage or break the ring.